Come join Ascend New England for our popular annual summer outing! Enjoy a day of food, drinks, fresh air, and the opportunity to gather with other professionals in a relaxed open air setting! 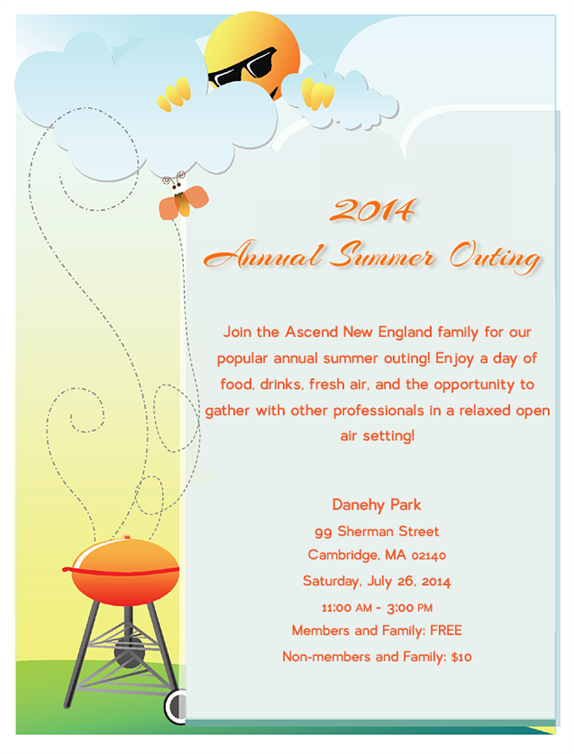 Ascend New England will be hosting our annual get-together at Danehy Park in Cambridge, MA. This is a great opportunity for professionals to come together in a relaxed outdoor setting away from the daily grind. It is open to everyone and is a family friendly event. In the past few years, we have had a fantastic turnout so please register today and join us!